The health secretary is being urged to reconsider plans to centralise general surgery in Gloucestershire. The NHS Foundation Trust plans will see out-of-hours general surgery moved from Cheltenham to Gloucester, sparking some fears patients could be put at risk. Gloucestershire county councillors said they would write to Health Secretary Matt Hancock expressing their concerns. The trust said there would "always be a surgeon available to go to the most urgent case". Under the plans, patients who develop internal bleeds, sepsis or abdominal pain overnight or at the weekend would have to be taken by ambulance to Gloucester rather than being seen by a consultant in Cheltenham. Liberal Democrat borough councillor Martin Horwood said a senior medic had told him they feared patients may die on the main road between the town and city, the Local Democracy Reporting Service said. "One consultant said if something went wrong in Cheltenham that needed urgent intervention, and if for whatever reason the general surgeon couldn't be brought from Gloucester in time, then people could die on the A40 or waiting for a blue light," Mr Horwood said. The medic is thought to be one of 56 others who shared concerns that aspects of the general surgery pilot could "put patient safety at risk" through a letter to the hospitals trust last year. The council's health and care overview and scrutiny committee agreed to set up a group to research the pilot and contact the heath secretary. 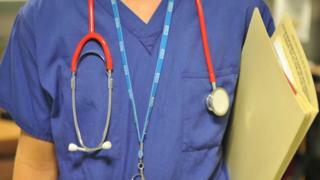 A trust spokesman said patients would continue to get access to the correct care.